The churchyard is on a large island south of Bergen. Fitjar is located on route 545 which runs down the western coast of the island. 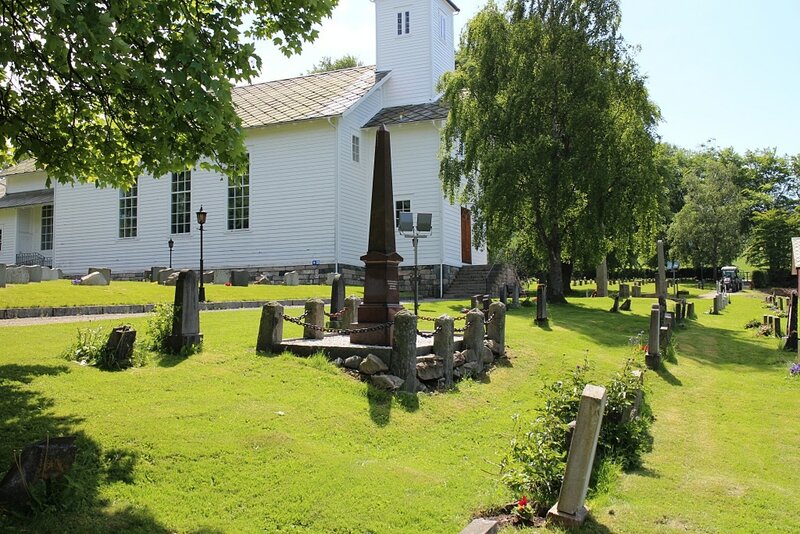 The church stands next to the road in the village. The private memorial is a large brown obelisk about 2 metres high, located at 2 O'clock from the gate. The churchyard contains three Commonwealth burials of the First World War, all sailors, who were killed when the destroyer HMS 'Partridge' was lost in action on 12 December 1917. 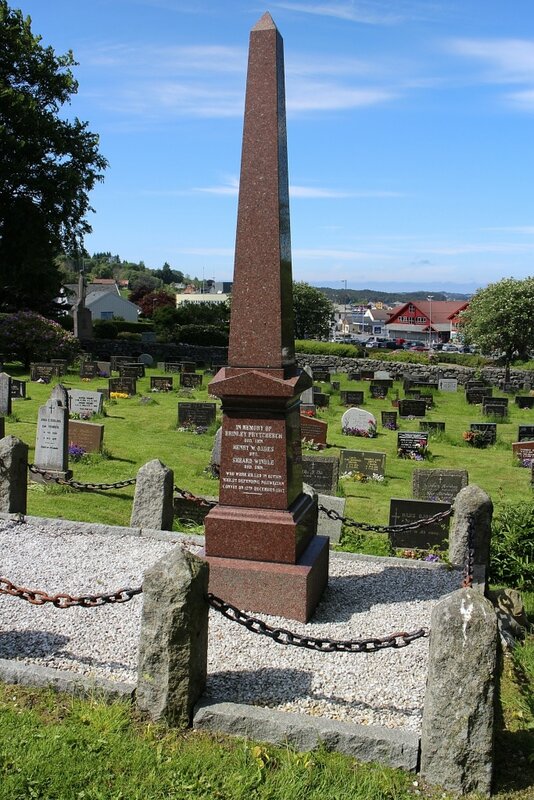 The graves are marked by a stone memorial raised by subscriptions from the mine sweeping flotilla stationed at Fitjar in 1919. K/31265 Stoker 1st Class H. W. Oades, H. M. S. Partridge, Royal Navy, died 12th December 1917. J/75905 Ordinary Seaman B. Prytherch, H. M. S. Partridge, Royal Navy, died 12th December 1917. J/75899 Ordinary Seaman Sheard Windle, H. M. S. Partridge, Royal Navy, died 12th December 1917, aged 26. Husband of Edith Windle, of 5, Tindalls Yard, Hawk St., Huddersfield. Born at Huddersfield.